Golding Homes is a fast-growing housing association delivering high-quality affordable homes and services for over 20,000 people across Kent. With 20+ content editors across many different departments, Golding homes wanted to collaborate and easily share information across their organisation. Golding Homes’ existing intranet was outdated and based on legacy technologies. They were looking for an out of the box Intranet solution that would allow for a fast rollout. Golding Homes had an existing Office 365 and SharePoint Online subscription and wanted to maximise their investment. Office 365 and SharePoint Online was an ideal base on which to deploy our Mercury Intranet Accelerator, enabling Golding Homes to quickly take advantage of all the features SharePoint Online has to offer. We chose Mercury as it offered us a cost-effective ‘out of the box’ intranet solution but with the scope to create more customised site features, specific to our business needs. 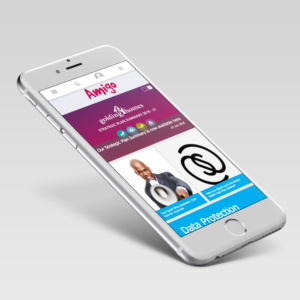 Using our Mercury Intranet Accelerator, we delivered a cost-effective Intranet solution for Golding Homes (nicknamed ‘Amigo’) which aligned the working practice of the business. We delivered a site template for each department allowing content editors to add department news, documents, events, organisational charts and more. Our search rollup web parts allowed Golding Homes to easily display and feature key documents/pages and content at the forefront of their Intranet. A custom Document Centre was developed for easy management of Policies and Procedures. This was enhanced by the Mercury search capabilities, allowing users to quickly and efficiently find documents. Bespoke branding was applied, working with designers to implement the Golding Homes corporate branding and the ‘Amigo’ theme. Golding homes were able to start creating content in under a month from project inception. Mercury has enabled Golding Homes team to easily share information and stay up-to-date with the latest developments of the company. The focus on cross-functional projects ensures that each user can easily share and access information relevant to their roles and current activities. Golding Homes were able to create their own intranet brand to generate user buy-in and roll out a successful Intranet launch.